What is CAD in Clothing Industry? In apparel manufacturing sector, CAD stands for computer aided design. 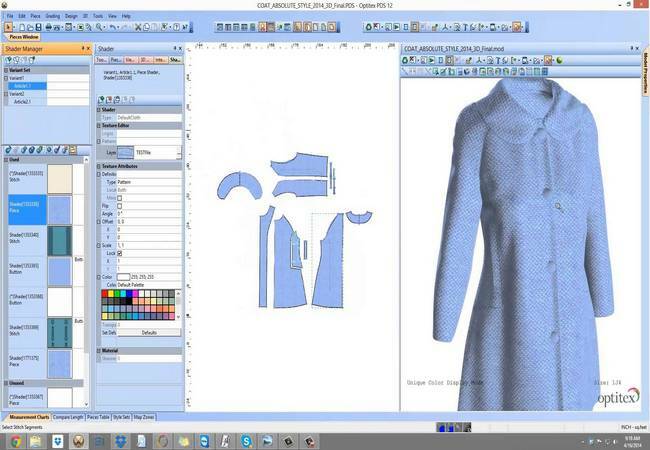 Now days, Computer aided design or CAD software becomes one of the most essential tool for pattern making and related jobs in clothing industry. It is used for pattern making, pattern grading and making of marker. Computer aided design or CAD software has so many advantages in apparel manufacturing. It brings a revolutionary change in today’s readymade apparel export business. As its importance, this article has presented some major advantages and uses of computer aided design or CAD in apparel and fashion industry. Computer aided design (CAD) system reduces the most valuable times compared to the laborious manual work of designing. All the design data can be easily stored, transmitted, and transported through the computer files. The design can be done from anywhere and the total process can be easily controlled by the customers. Digital swatches can be preserved on zip disks, floppy disks, hard drive or CD-ROM which saves enough space. The another major benefits of CAD software in clothing manufacturing industry is the designers do not need to produce different swatches all the time for different colors as they can now see how a particular fabric or apparel looks in different shapes and colors on computer screen itself. The total design can be easily personalized and customized within a short period of time without significant delays or cost increases. Some most popular CAD software has higher price like as Proge CAD, QCAD, Libre CAD and Open SCAD. CAD operator has to train themselves according to update of CAD software. Sometimes, it’s too tough to find skilled operator to run CAD software. Category: Marker Tags: Computer aided design in textiles and apparel industry, Importance of CAD in Apparel designing, What is a cad textiles?, What is CAD in apparel and what is it used for?, What is computer aided design in apparel sector?